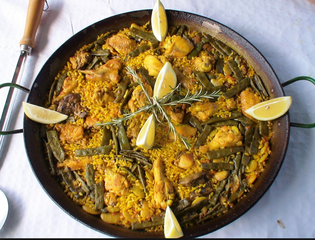 With this class you will learn how to cook an authentic Paella recipe, which is none other than Paella Valenciana, the origin of everything. You will also learn how to prepare one of the most popular tapas of Spain, every day a different tapa, with its technique, tricks and tips. Dinner 9pm– At our long ‘en famille’ dining table with a glass or two of beer you will be presented with a London Paella School diploma.